High-throughput studies are used frequently in toxicology and drug discovery. 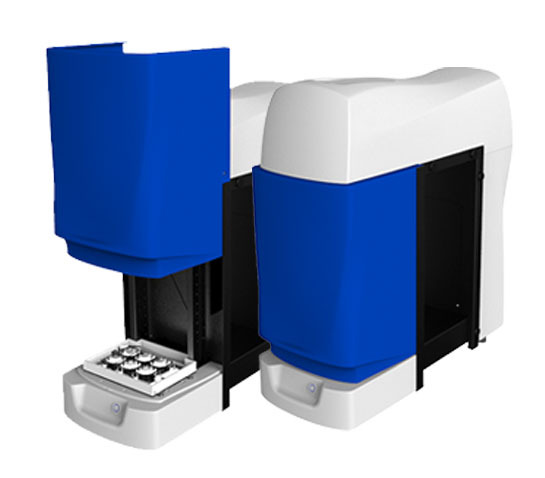 screening to efficiently screen large numbers of compounds time effectively. Zebrafish behavioral studies can be used to investigate a large spectrum of brain functions, in a large number of subjects. One example of such study involves the use of zebrafish as a model to study epilepsy. Here researchers used seven-day-old zebrafish and the ZebraLab system to assess locomotor activity in response to antiepileptic drugs. Large numbers of zebrafish larvae can also be used to better understand how patterns of behavior can identify psychiatric disease. One example includes a study investigating hyperactivity in response to three compounds, using video tracking with ZebraLab to measure the behavioral output. Understanding the genetic basis of a disease also benefits from high-throughput screening. Studies using zebrafish range widely in topic, but one example has used ZebraLab to help further the understanding of the genetic basis of epilepsy. Zebrafish are still a rather new model organism, and not everything is known yet about their behavioral repertoire. Several studies have actively investigated zebrafish behavior, also in a high-throughput context, to help shape how this can be used in drug discovery. One behavioral feature – thigmotaxis – is of interest in studying psychiatric conditions, such as depression. Thigmotaxis is argued to be a useful measure in drug discovery for psychiatric disorders as it is a behavioral feature easily modified with psychoactive drugs. ZebraLab has been used to validate the use of thigmotaxis as a behavioral measure in larval zebrafish.